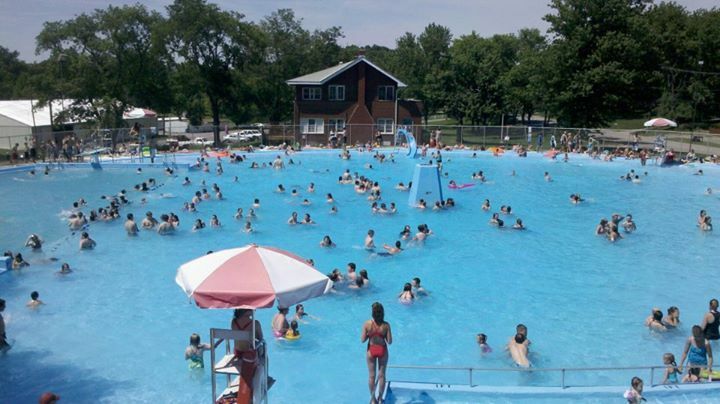 The Mount Carmel City Pool was first opened in 1937 and is still in operation to this day. It is known for its Zero-Entry feature, meaning you can walk directly in the pool without the use of a ladder or steps. The pool features a fountain center, two small slides, and a kiddie pool section. Also, in the 11ft area there is a springboard, a high dive, and a large slide. They offer drinks and snacks in the upstairs building as well as picnic tables on the balcony that overlook the pool. Party Rental $175 (2 hours) Call 262-4042 during regular pool hours to book a party.